Advanced Insurance Solutions is an independent insurance agency located in Hershey, PA. We have deep ties to the community, and we take great pride in serving our neighbors in Central Pennsylvania. As a full service agency, we will help you, your family, and your business find the right amount of insurance that fits your needs. Whether it’s auto, home, motorcycle, boat, RV, renters, landlord, life, health, disability, business, or workers compensation insurance, we are your one stop destination for all lines of commercial and personal insurance. 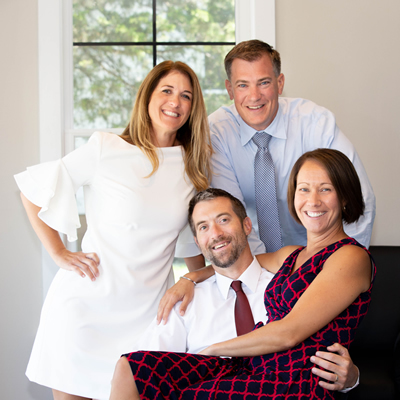 The story began in 2000 when the brother and sister team of Doug Erwin and Courtney Painter founded Advanced Insurance Solutions. When we opened our doors we did not have any clients, but over the years our hard work and commitment to excellent customer service has gained the trust of over 8,600 clients. With over a decade of experience under our belt, we continue to be family owned and operated—owners Doug Erwin, Courtney Painter, and Christopher Painter provide the hands-on leadership and customer focus central to our mission. We’ve since grown to include 15 staff members, with a focus on serving our neighbors in the surrounding communities of Lebanon, Harrisburg, Dauphin, Cumberland County, Perry County, and Linglestown. Our team consists of a group of talented professions with deep roots in the local community. Founding members Doug Erwin and Courtney Painter were both born and raised in Hershey, graduated from Hershey High, and live in Derry Township with their families. Owners Christopher Painter and Doug Erwin are active members of local youth sports programs, coaching multiple teams and providing support and donations for Hershey Little League and Hope International, among others. Check out our community involvement (we’ll place a link to the community involvement page here) page to learn more about Chris and Doug’s commitment to the Central Pennsylvania community. As an independent, full service agency, we represent over 20 of the top insurance carriers in the industry. We put our clients first—we focus on finding the policies that meets your needs as you express them to us. Our customer service doesn’t stop the minute we find you the right policy; we are available to you throughout the year to review coverage and provide continuing insurance solutions as your needs evolve. Learn more about what makes Advanced Insurance Solutions different—contact us today!